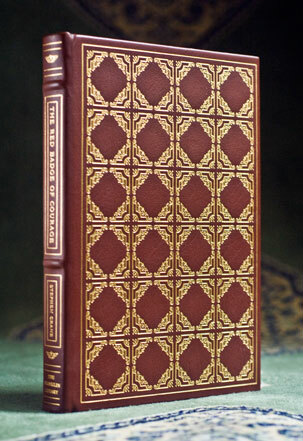 Condition: Hardcover, red leather. Like new, no observable flaws. Has previous owner’s bookplate attached, which can be pasted over on request. 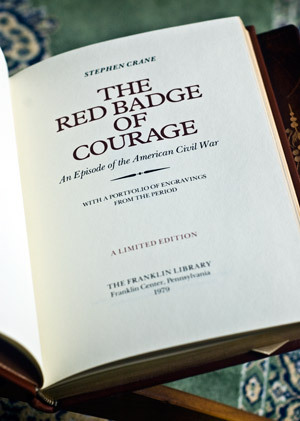 The Red Badge of Courage is an 1895 war novel by American author Stephen Crane (1871–1900). Taking place during the American Civil War, the story is about a young private of the Union Army, Henry Fleming, who must overcome initial fear and shame to become a hero on the battlefield. Although Crane was born after the war, and had not at the time experienced battle firsthand, the novel is known for its Realism. Crane began writing the novel in 1893, using various contemporary and written accounts as inspiration for the story. 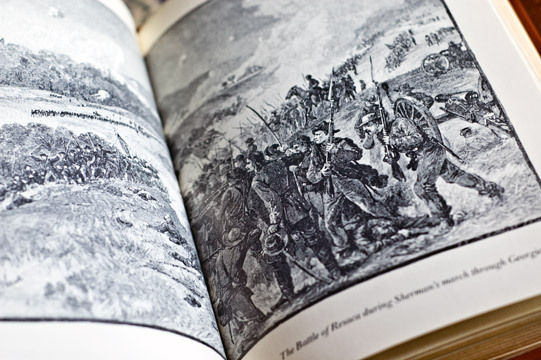 It is believed that he based the fictional battle on that of Chancellorsville; he may also have interviewed veterans of the 124th New York Volunteer Infantry Regiment, commonly known as the Orange Blossoms. 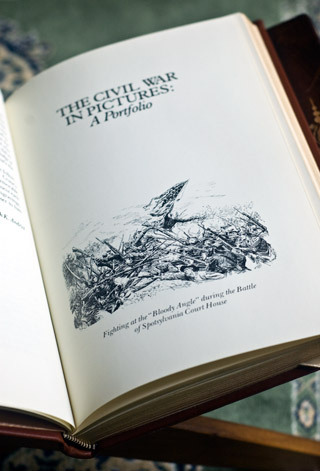 A shortened version of the manuscript was initially serialized in newspapers in December 1894, before the full novel was published in October 1895. 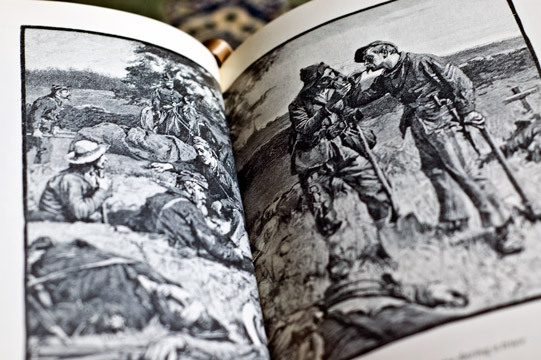 The novel is known for its distinctive style, as well as its use of realistic battle sequences, repeated use of color imagery and irony, as well as what Crane called a “psychological portrayal of fear”. Several of the themes that the story explores deal with maturation, heroism/cowardice, and the indifference of nature. The Red Badge of Courage garnered widespread acclaim shortly after its publication, making Crane an instant celebrity at the age of twenty-four. It is now thought to be his most important work.